Hungarian developer Nemesys Games is best known for making the lighthearted Fortix series, a pair of casual tower defense variants available on Steam. For their latest project, they've decided to expand their horizons, going beyond downloadable sawbuck games. It's called Rocket Bullet Storm, a chaotic old-school shmup similar to the surprising number of others to come out in the last year. The difference is that this one is huge—30 feet tall—and consumes 250 square meters of floorspace, which is probably a lot bigger than your house! The Sziget Festival in Hungry is a giant-scale music festival on par with Coachella in the U.S. or Pinkpop in the Netherlands. This year's lineup, in addition to Rocket Bullet Storm, includes acts ranging from Manic Street Preachers to Judas Priest, spread over five days and as many stages. 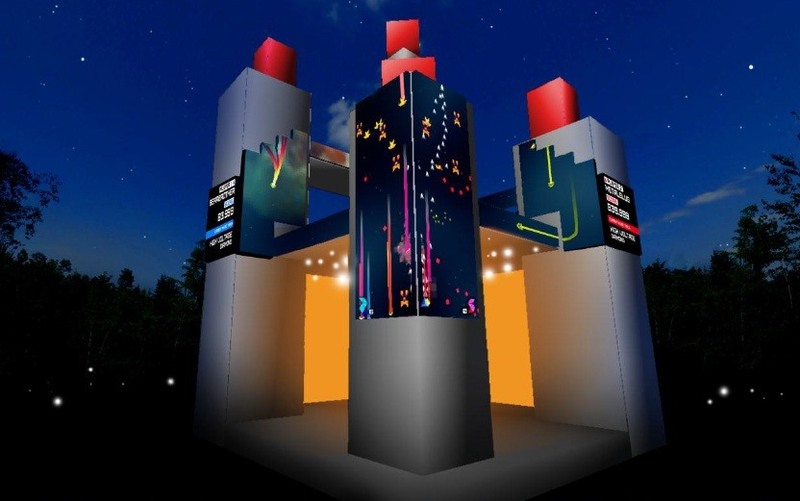 There are a dizzying number of installations for festival attendees to marvel at in-between bands (check out the map), and while Rocket Bullet Storm is not included therein, it shouldn't be too hard to miss if these digital mock-ups are any indication. Note the giant Vodaphone logos ensuring that Nemesys will be well-compensated for their work. The sad reality of most gamers' lives is that they spend all too much of it inside. We play in small rooms with the shades drawn to avoid glare, usually too close to the television (or even closer to the PC), alone or maybe with a small group of friends. We are not considered by non-gamers to be the most socially adept animals out there, but that stereotype is finally starting to change as gamers get more successful and diverse. What better manifestation of that can there be than a 30-foot-high game at a music festival?